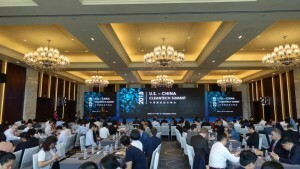 The 2018 US-China CleanTech Summit, jointly hosted by the Guangdong Department of Commerce and the US-China Cleantech Center, was successfully held at the White Swan Hotel in Guangzhou on May 17th, 2018. 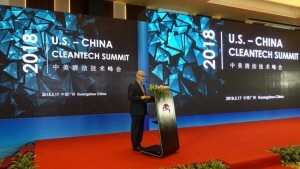 The US-China CleanTech Summit is an annual event and 2018 marks it third gathering. 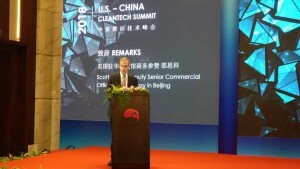 The summit receives support from both the US and the Chinese governments, with the purpose of deepening multi-faceted, pragmatic, bilateral cooperation in cleantech, as well as facilitating the application and industrialization of new clean technologies. This year, Guangdong was the host for the Summit. As an economic giant, the GDP of Guangdong has been the highest among provinces in China for 29 consecutive years.The market size of clean energy, low-carbon transportation, pollution control, infrastructure, ecological restoration, energy conservation, and emission reductions in Guangdong is enormous. Meanwhile, the construction of green, low carbon smart cities has been one of the priorities of the Guangdong provincial government. 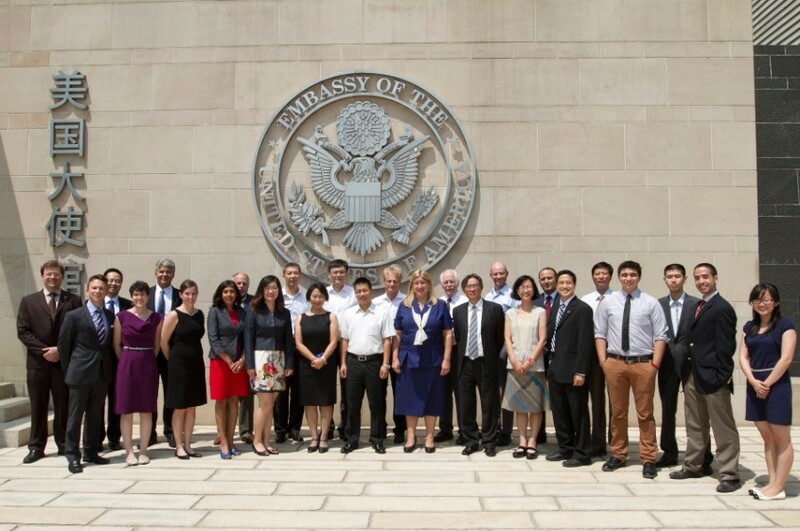 The summit attracted over 400 participants representing the US and Chinese governments, professional organizations, Fortune 500 companies, and innovative tech companies from the United States and China’s leading enterprises. Panels and discussions in topics such as smart city, clean energy, environmental technology, and intelligent transportation were held. The audience, experts, and speakers all had a chance to network and exchange insights during the summit. Mr. Yuehua Chen, the deputy director of the Guangdong Department of Commerce and Mr. Scott Shaw, the Commercial Counselor of the US Embassy in China attended the Summit and delivered opening remarks. 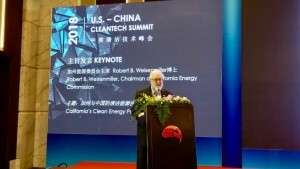 Chairman of the California Energy Commission, Dr. Robert B. Weisenmiller, and deputy director of Global Development of Transport and Communications Technology Bureau of World Bank, Dr. Benyam Reja, presented notable speeches later regarding US-China collaboration in the fields of clean energy and low-carbon transportation. The Summit featured several panels focusing on smart cities, clean energy and energy efficiency, clean transportation and intelligent transportation, and environmental technologies. 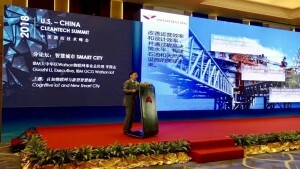 In total, 20 speakers from established corporations from both the US and China, including IBM, Ford, Johnson Controls, Delphi, Honeywell, AECOM, Ecolab, Xylem, PWC, TDG Group, Caterpillar-Solar Turbine, Guangdong Zhongche Group, Guangzhou Metro Design, and Research Institute, shared their latest technologies and project advancements. 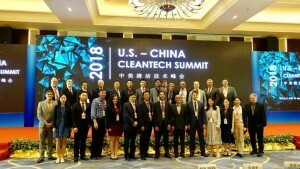 As the organizer of this Summit, the US-China CleanTech Center led a delegation of CEOs of US cleantech companies to visit Guangdong Province. 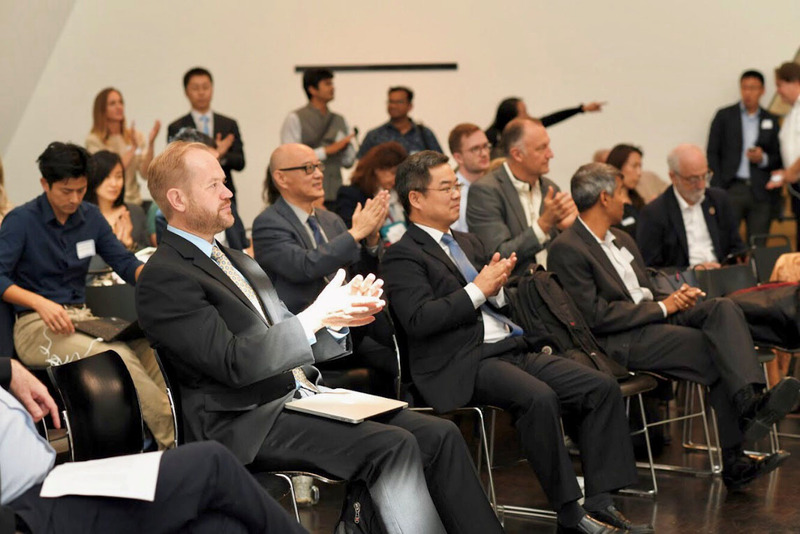 Twenty-two CEOs and senior managers from the delegation presented great roadshows and were able to connect and speak with potential investors, supplier, manufacturers, and partners from China.